I Hate Your Fashion: Project Runway Reject Or College Pride? Project Runway Reject Or College Pride? Bored with representing your school with a plain old boring university T-shirt? Tired of showing your school pride in a pair of uninteresting sweat pants? Behold! 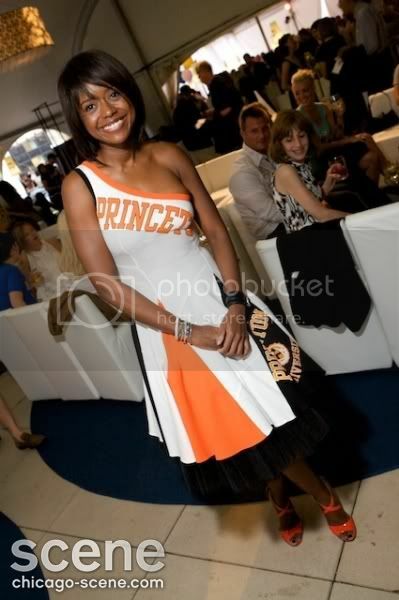 I give you...the university one-shoulder cheerleader ball gown!